The shabby reporter Tredup leads a precarious existence working for the Pomeranian Chronicle - until he takes some photographs that offer the chance to make a fortune. In Krüger's bar, the farmers are plotting their revenge on greedy officials. A mysterious travelling salesman from Berlin, Henning, is stirring up trouble - but no one knows why. Meanwhile the Nazis grow stronger and the Communists fight them in the streets. And at the centre of it all, the Mayor, 'Fatty' Gareis, seeks the easy life even as events spiral beyond his control. I could absolutely see the author's intent with this book - what he was trying to demonstrate, what points he was making - as he sets the scene in pre-WWII Germany. The cast of characters in their different factions go through moments of fear, anger and repression as the backstabbing reaches its climax. Yes, I could see what Fallada wanted to show and yet, I just couldn't bring myself to care. None of the characters really captured my interest and I found my mind wandering as I read since I was finding the story so boring. Other authors making political 'commentary' (such as Kafka or Camus) have still crafted amazing stories around their messages, stories that captivate and draw the reader in. That just didn't happen for me with this text unfortunately. I gave it chance, continuing until the end, wanting to like it - but to no avail. 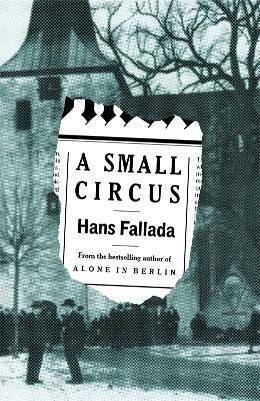 I'd probably only recommend this book to those with a very keen interest in German literature of the 1930's. I don't think it's a piece that will appeal to a wide audience though.